Particularly in sports, it is common to hear about creatine, creatine monohydrate, creatine supplementation, creatine phosphate, and how creatine supports muscle growth and energy metabolism. But what exactly is creatine and where can it be found in the body? Creatine is an endogenous substance that is formed from the amino acids arginine, glycine and methionine. It is primarily found in muscle cells. It is produced by the liver, kidney and pancreas. 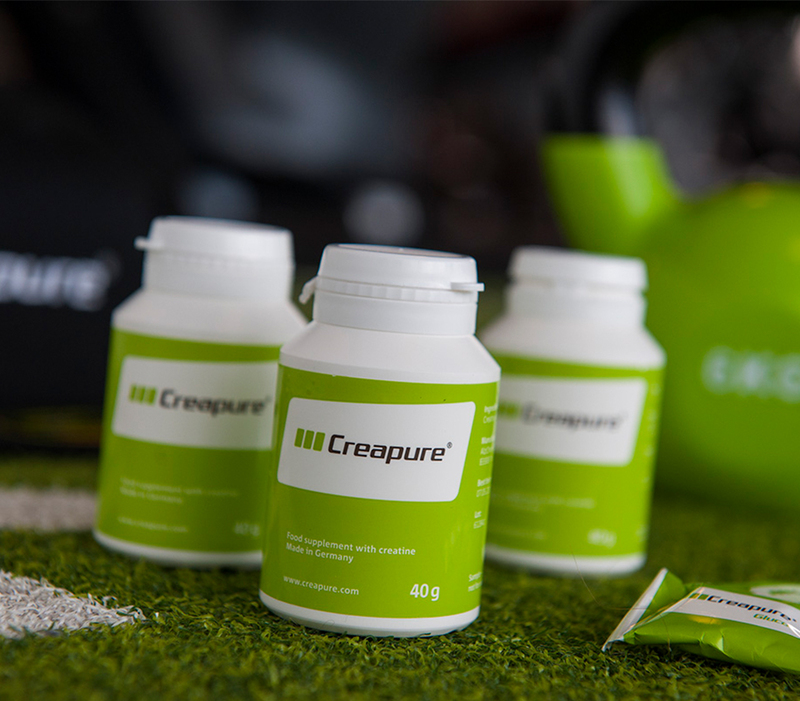 Creatine is then transported to the target organs (e.g., skeletal muscle, heart and brain) and absorbed by them. Creatine monohydrate is a type of creatine offered for use as a supplement. It contains creatine in the same form in which it occurs in the body. Numerous studies have examined the efficacy of creatine monohydrate, which is the most common form of creatine used for nutritional supplements. Creatine monohydrate is stable, safe and can be easily absorbed by the body. It also acts reliably. How much creatine does the body need? An adult weighing 70 kg needs about 2–4 g of creatine per day. Approximately half of this is produced each day by the liver, kidney and pancreas. The remainder is absorbed through food (meat and fish). Supplementation with creatine can therefore make sense for vegetarians or people who eat very little meat because they consume little to no creatine. Those who want to actively increase their physical capacity during periods of intensive stress, thereby actively increasing their muscle mass, can also benefit from creatine supplementation. Taking creatine helps optimize creatine levels in the body’s tissues. There is no risk of creatine deposits becoming overloaded. Scientific research has shown that using creatine as a dietary supplement improves physical performance during short, intensive and repetitive exercises. This leads to optimal muscle growth and helps to promote long term growth. Higher availability of creatine in muscles improves the energy supply to muscle cells, thereby making it possible to improve performance.